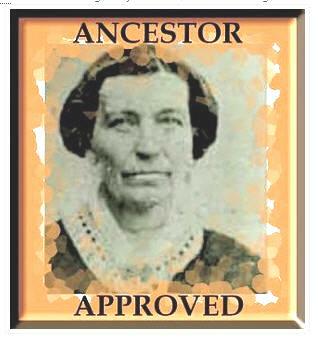 Tracing the Tribe has received the Ancestor Approved award from Pat and Judy, the GenealogyGals. Their blog is a joint effort. Award recipients are supposed to report on 10 things learned about our ancestors that have surprised, humbled, or enlightened us, and then pass along the award to 10 more genealogy bloggers who are doing their ancestors proud. 1. Surprised: At the life of my maternal great-grandmother Riva BANK TALALAY – born in a shtetl outside Kovno – who was ran away to the Gypsies – so the story goes – to avoid a disliked marriage. Along the way, she learned herbal healing, midwifery, reading tarot cards and palmistry. When she did marry Aron Peretz Talalay and moved to his agricultural colony Vorotinschtina, some 12 miles southwest of Mogilev, Belarus, she was known for creating the first closet in the shtetl. In Newark, New Jersey, she was also a midwife and healer and well-known for getting her way to make living better for her family. 2. Surprised: That the generation-to-generation one-liner – “This was our name in Spain” – has been corroborated by archival research in Spain and DNA genetic testing. 3. Enlightened: Our TALALAY family’s first immigrant ancestor met an English-speaker on the boat over in 1898 who advised him to change his name as no one would give a job to Mr. Tell-a-lie. Thus TOLLIN, TALLIN, TAYLOR, TOLL, TALL and – of course – those lost Philadelphia FEINSTEINs, came about. 4. Enlightened: My maternal FINK (Suchostaw, Galicia -> Ukraine) grandfather and his brothers had a large building maintenance company in New York City. Once, during a window-cleaners’ strike, a worker was quoted as calling his employers, “those rats, the FINKs.” According to family story, the term “rat-fink” was born. 5. Surprised: On hearing that my mother, as a teen, used to swim across Kauneonga Lake (Catskills, Sullivan County, about 10 miles from Monticello) frequently. It is a very large lake! 6. Humbled: To have found at least one lost branch of the Dardashti family, and thus fulfilling a request of my husband’s eldest aunt Nane-jan – made more than 35 years ago in Teheran – to find the lost branches (descendants of relatives who became Moslem) and tell them that they had cousins who thought about them all the time. 7. 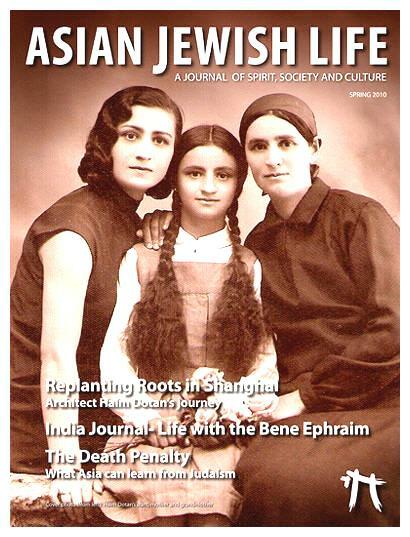 Humbled: To think about the difficulties Nane-jan underwent as the first Jewish girl to go to school in Teheran in 1902. The community stopped buying from her father, a butcher, and she endured taunts and attacks on her way to school. All her sisters also went to school, with some of them becoming French teachers. It wasn’t easy being a father with such advanced enlightened thinking in those days. 8. Frequently flabbergasted when thinking of our newly-connected TALALAY-KATSNELSON relatives (from Bobruisk, Belarus) in Melbourne, Australia. Their eldest daughter Nelly is a journalist and her daughter is Miliana. I’m Schelly, a journalist and our daughter is Liana. Do you also hear Twilight Zone music? 9. Surprised at how much cousin Leon in Melbourne and I resemble each other. His mother was a Talalay whose father (Gamshei) had moved (reasons still unknown) from Mogilev to Bobruisk. 10. Still shocked: My late cousin Victor Talalay (Toronto) and I both located information about the family branch in Israel at the same time, decades ago, when we separately visited Israel and found the data in the English phone book. We each dutifully copied the info and held onto the scraps of paper with name, address and phone number for decades. I finally wrote and located the granddaughter as her grandfather, who placed the entry every year, had died only a year or so prior. He had placed the info in the English phone book every year hoping that US relatives would find it and contact him. He had arrived from Berlin (after leaving Mogilev in 1902 and going to London and Germany) to Israel in 1933. Moral: Never procrastinate when it comes to following up on all clues to family history. Since I am coming into this award late – procrastination still runs in our family – and I believe almost all bloggers have already been tagged, I am awarding this coveted prize to everyone who has not already been noted. What was it like for our ancestors to arrive at Ellis Island? Learn about the experience with Barry Nove at the next meeting of the Jewish Genealogy Society of Greater Washington, on Sunday, April 18. The program takes place at Beth El Hebrew Congregation, 3830 Seminary Road, Alexandria, Virginia. The event begins at 1pm with the main talk at 2pm. Nove received unique access to the Ellis Island Museum, worked with its archivists and gained understanding and appreciation of what his grandparents and great-grandparents experienced. On his journey he gathered photos of the ships his family arrived on from Bremen, Danzig, Hamburg and Rotterdam; naturalization documents, passenger manifests and historical research. Fee: JGSGW members, free; others, $5. For more information and directions, visit the JGSGW site. The Jewish Genealogical Society of New York will present “Basics and Beyond,” an afternoon family history seminar, on Sunday, April 11. The program will run from 1-5pm, at UJA-Federation of New York 130 East 59th Street, 7th floor, Manhattan. Experienced genealogists will present two tracks – for beginners and those more experienced. — Searching European records from home. Advance registration required, no on-site registration. For more information and registration, click here. Fee: JGSNY members, $18; others, $25. New member special: $40, includes 2010 JGSNY membership (annual membership alone is $36).